Please do not make faces after reading the title!!! What you are reading is exactly the one that I made. You have to believe me this is the real wonderful curry that I never know before, and I regret for not knowing it before. Once you taste this curry, you are not going to leave it. You will make it again and again. 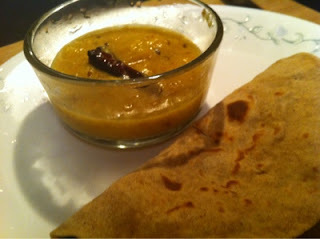 :):):):)All curries are tested on my hubby & myself and they are presented to you all through this blog. They are 100% safe :):):):). now jokes apart and here is the recipe. Peal and deseed mango. 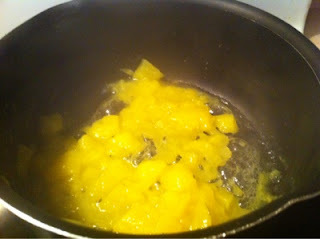 Cut into pieces and add 1cup of water and cook for about 10min under medium to high flame by adding 1/4tbsp of salt. Mean while dry roast the cumin and fenugreek(methi) seeds together and add to mixie jar. To the jar also add grated coconut, green chili, red chili, garlic and 1/4cup onion and grind it to a smooth paste by adding little water if required. When the mango is ready mash it if you do not wish to have them as it is. 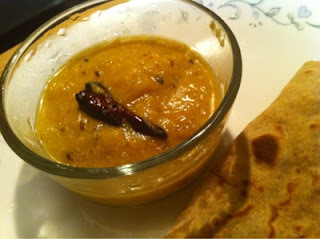 After mashing cook this on slow flame and add grinded mixture to it and cook it till the raw flavor of onion vanishes. Then take yogurt in a bowl and bet it well, then add 2tbsp of water to it and mix well. add this to the mango curry. Check for salt add if required. 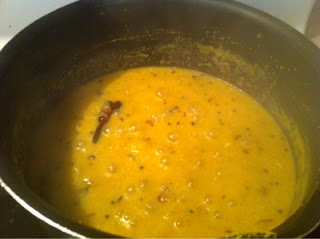 Now prepare the tempering for the curry, Heat 2tbsp of oil in a pan and add mustard seeds, cumin seeds, curry leaves and red chili.when they are done pour this on to the mango curry and mix well. 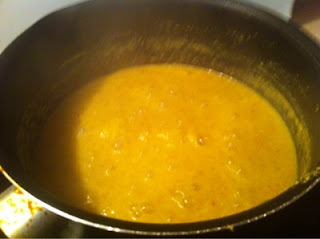 Here is your ripe mango kadai ready. 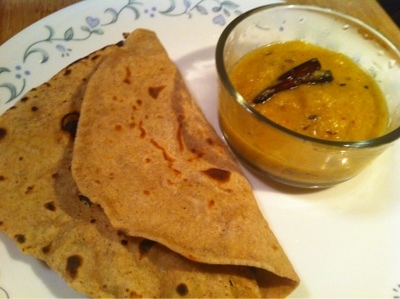 You can have this with kichidi, roti or rice.